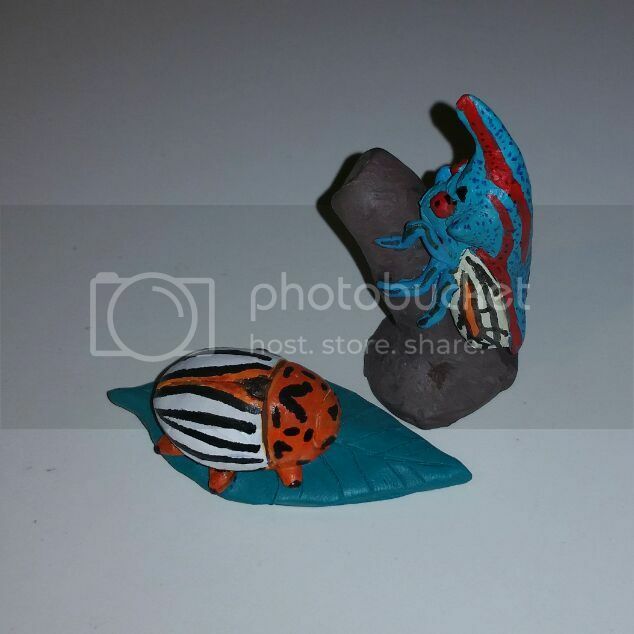 I have started sculpting my own creepy crawlies and the first two are shown here. 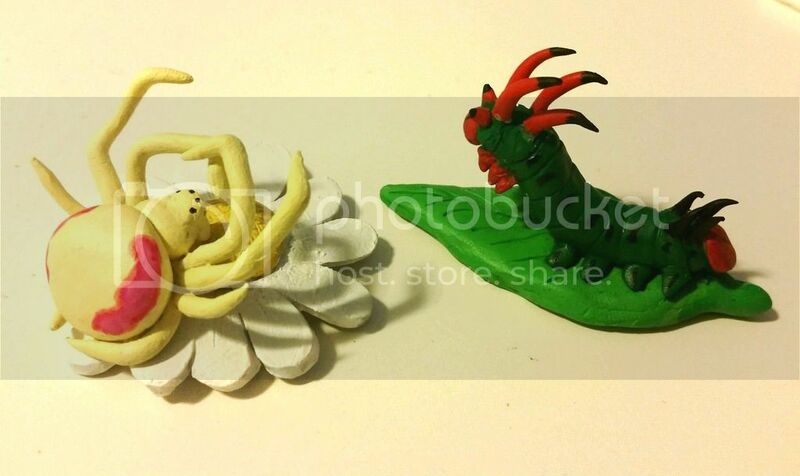 The figures are made of Super Sculpey and painted with acrylics, with additional detail with Pitt pens. Thanks to Newt who, through email communication, walked me through a lot of trouble-shooting . Second, the larva of the regal moth, Citheronia regalis (Fabricius, 1793). Figure is 107 mm across its longest points, making it approx 1:1. 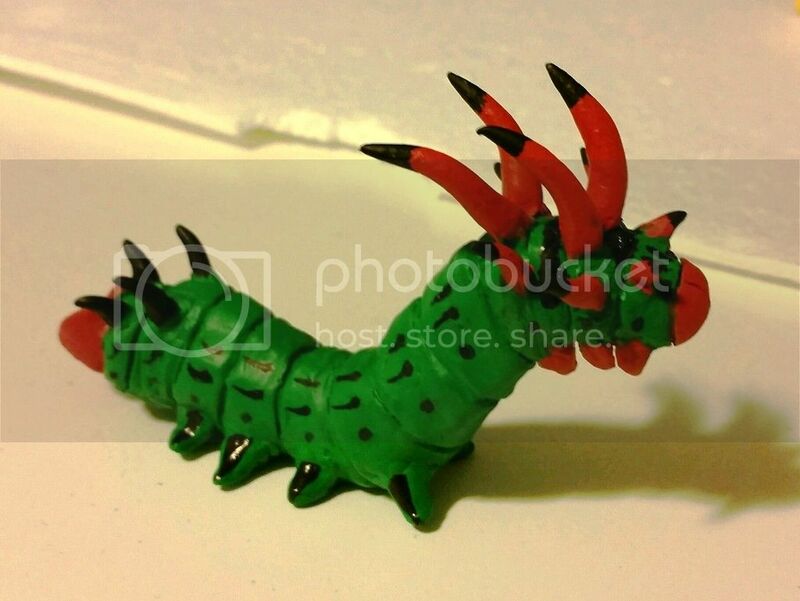 Really beautiful sculpts Blaine, I havent seen the Regal moth caterpillar . If I make the adult, you could have the couple . You did a great job, Blaine! 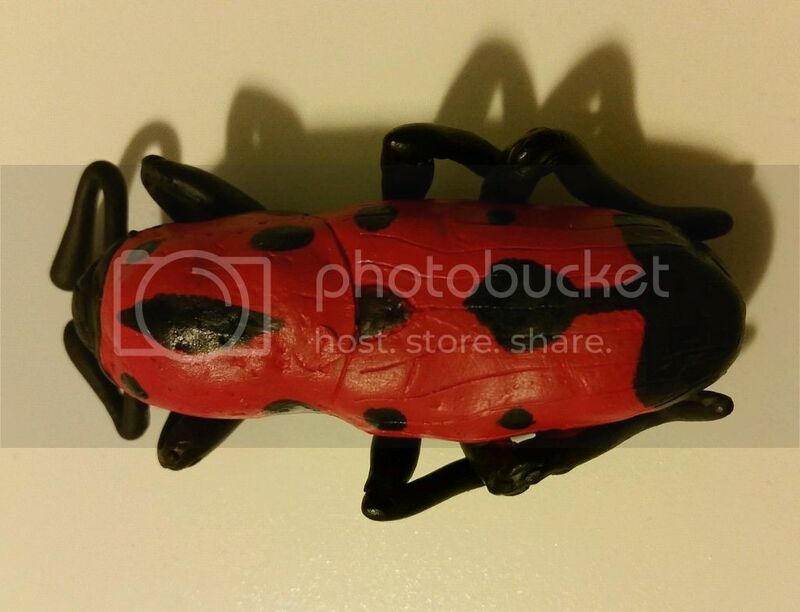 I look forward to seeing more of your bugs. 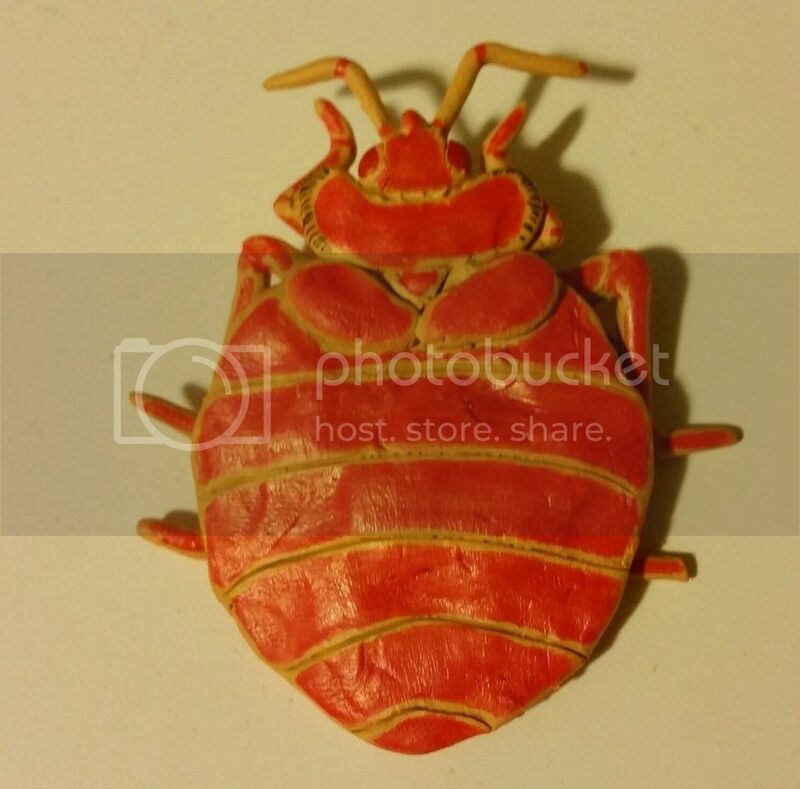 Wonderful to see that you started making your own sculpts, Blaine! And the bed bug is an excellent choice, too. The Regal Moth caterpillar looks great. 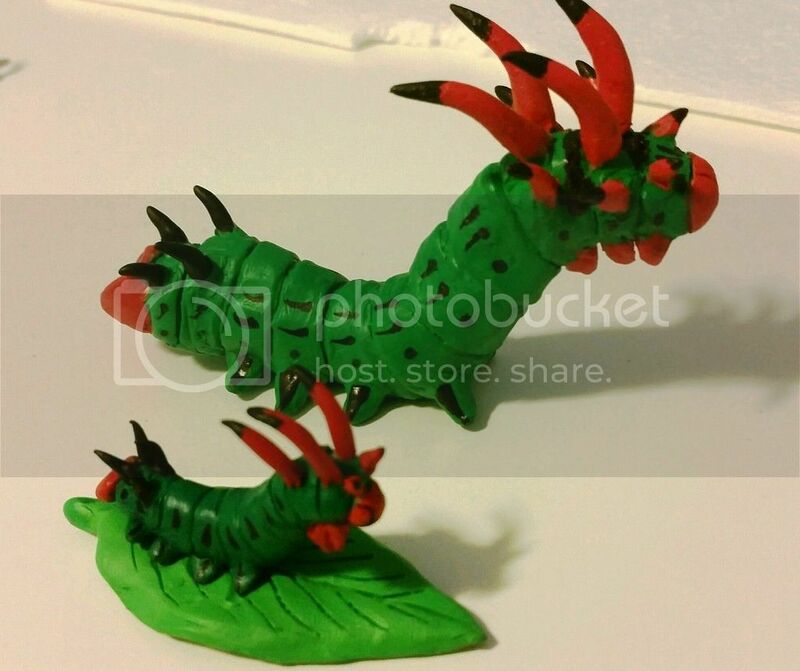 Have you thought about sculpting an elaterid, too? Too bad I rarely find the time to finish my own sculpting attempts. 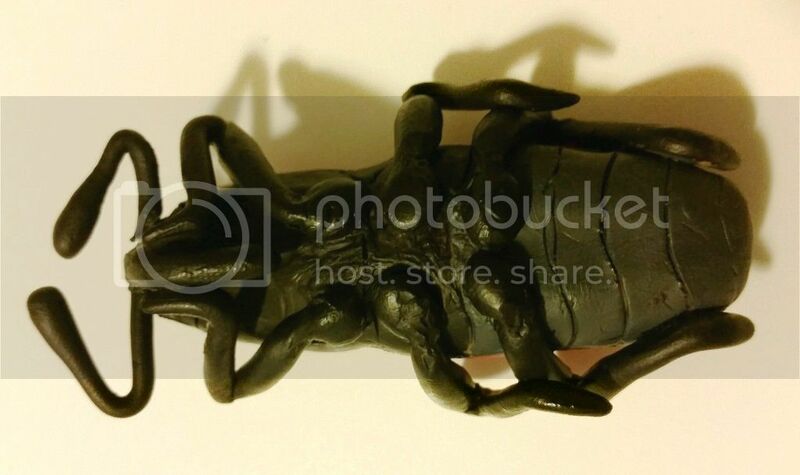 as an elaterid specialist I really need to make one, but I think my next figure will be a weevil. I also have ideas for a syrphid fly and a spider (crab or jumping), or maybe an Oxyporus staphylinid on a mushroom! I will be focusing on the Nearctic fauna regardless. My third creation is baking now. But I need inspiration for a new sculpt so I am going to take a poll. What should I make? 5) I am not sure what response to this request will be like. Please do not submit more than three choices (if you do, I will pick your first three listed). After one week, or longer if I don't get 10+ suggestions, I will put the choices together and 'draw from a hat' to see what gets made. thanks for the consideration and inspiration! I only have one off the top of my head that fits that criteria: Emerita analoga. Hmm, I could easily mention quite a few. Personally, I'd love to see figures made of these (both are sufficiently large enough for life-size models, too): Idolomantis diabolica and Ornithoptera alexandrae (actually, I've been thinking about making a pair on my own). Oh, and if you have fluorescent paint: How about Pyrophorus noctilucus? Thanks Andre! I have 4 suggestions, I need more! (stars, you have two more coming ). This weekend I should post images of my 3rd creation after I finish the paint job tonight. In that case Rhombodera megaera and Blaptica dubia (especially a juvenile of the latter!). thanks all! Dictyopteroids seem to be the favorite. Need Jetoar, Chad, and Sean to contribute ideas as well! Size 70 mm (roughly 10:0). While baking I realized I had forgotten antennae! I baked them separately, glued them on with super glue, and painted. 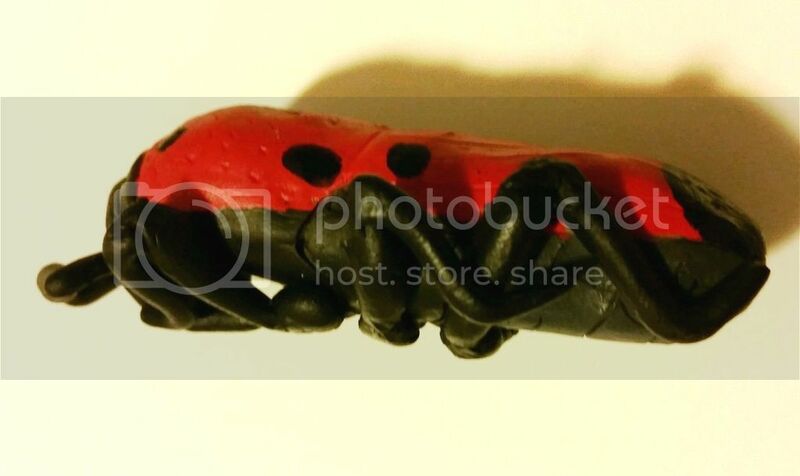 Hardest part of making accurate insects is, like little machines, portions of certain parts are often defined! Off-set features can make a figure look like something else entirely! Another excellent choice, Blaine! So is this the first figure/model showing an insect in thanatosis? So, I've decided to go smaller and simpler, influenced by of all things UK Yowies to make TOOB/Yowies size figures, preferably with bases. I've started with two: a mini version of the Citheronia regalis caterpillar and the crab spider, Misumena vatia (I have also made a treehopper, Platycottis vittatav but still have to paint it). The leaf under the Citheronia is 65 mm (you can also see it's comparison with the original). 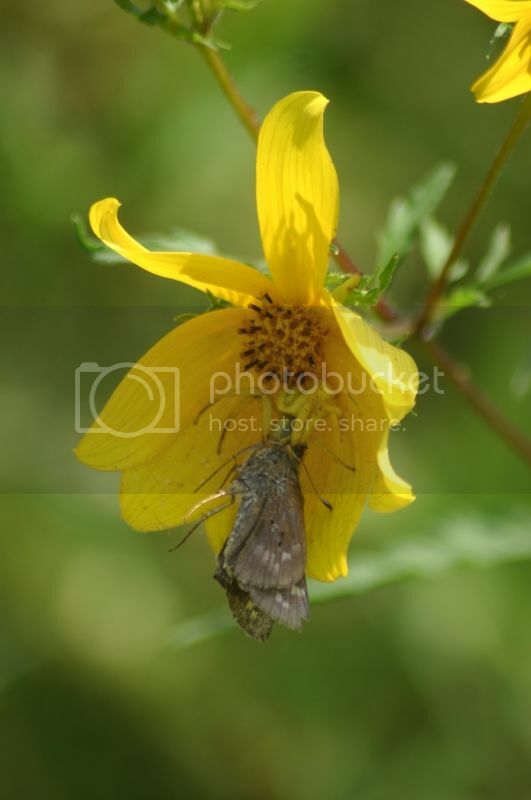 The flower under the crab spider is 55 mm in diameter. Figures will be permanently attached to their bases.The insects were made and baked separate from the flower and leaf but will eventually be permanently glued together. I think a little time spent detailing the joints would pay big dividends. It doesn't have to be anything fancy, just a simple groove to separate the leg segments. 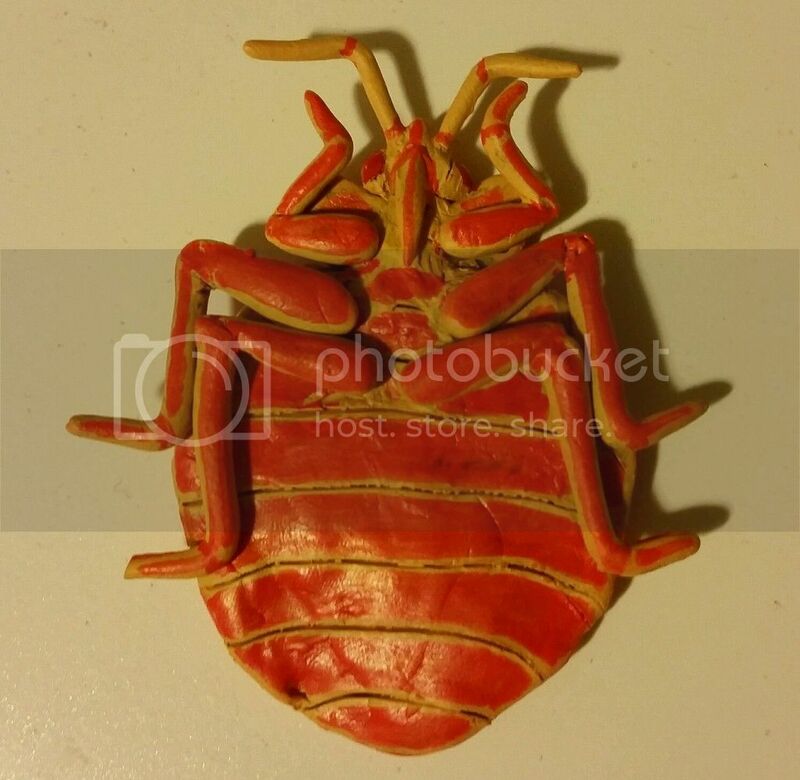 Great to see your arthropod models series is growing, Blaine! I agree with Newt, the models would greatly benefit from segmented limbs.